Chennai: Taking a serious view on the issue of an MBBS doctor practising as an ophthalmologist in the city without passing a degree in specialisation, the Madras High Court has issued directions to restrict doctors to practice as specialists if they do not own a suitable qualification. The interim order came in response of the PIL petition filed by S. Raja of Perambalur where he accused a local physician of running an eye clinic in the area without clearing his specialisation in Opthalmology. To support his petition he submitted proof that the said doctor after acquiring an MBBS degree, he had joined a diploma in ophthalmology course in 2013 but could not complete it till 2018 despite making several attempts. He had failed in the examinations on four occasions and was marked absent on four more occasions between 2015 and 2018. The petition further pointed out that along with running his own clinic, he was also serving as an ophthalmologist in the government district headquarters hospital while he did not have the qualification required to serve as an eye specialist. The doctor was also claimed to be the co-ordinator of Perambalur District Blindness Control Society. The petitioner further alleged that while a complaint had been filed with the Tamil Nadu Medical Council, no action had been taken against the doctor. On this, the PIL demanded that the court should direct the state medical council to consider the petition and take action. The court took serious note of the lack of action in matter reports the Hindu. In response, the Tamil Nadu Medical Council submitted that it had planned to conduct an inquiry on February 18 regarding the complaint lodged by the petitioner in November. 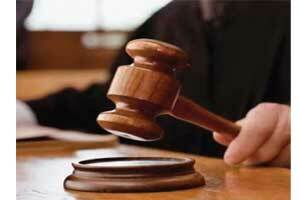 The court on Friday also directed the Joint Director of Medical Services to take action as per the relevant statutes. Meanwhile, the joint director provided information to the court that the clinic of the doctor had already been seized. The court, however, directed Joint Director to revisit his decision and then provide report accordingly. The doctor received training for diploma in MCI recognized institute. All his fallacy was not clearing an exit exam. Exams are tough. Having training should be enough. As long is calling himself DOMS. Then why have a posting in ophthalmology (likewise ENT) if the MBBS doctor is not permitted to practise the subject. This is the problem of courts interpreting and judging without taking the counsel of the MCI. (some time ago an MD medicine physician was judged guilty by a court for treating a case of myocardial infarction. (they are fully qualified to treat heart attacks medically and in fact many places do not have cardiologists and physicians provide necessary treatment). if courts (and the government / people) dont want mbbs doctors to treat certain specialites – remove those subjects from the mbbs course – whether it is ophthal or ent or anesthesia or psychiatry. How about the judges ? Do they aquaire higher qualifications,when elevated to the high courts or Supreme courts ? Then why this is not applicable to doctors. Have a midwife docaesariansection, just an MBbS doctor do brain surgeries. He is a trained ophthalmologist eligible for his diploma exam.He may be better than many diploma holders.instesd of closing his practice,he could be allowed practice with condition to be supervised by an ophthalmology Dept for 6 months and then let free.Some people are bad in exam but good in practice.He is an MBBS which certifies him for medicine and surgery both in the eyes of the law and society.plud he is trained in a certified PG institition for ophthalmology.